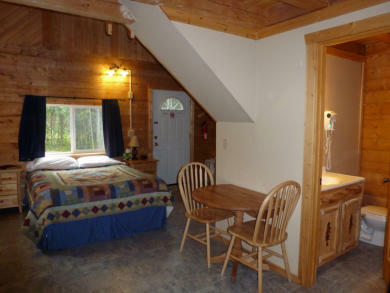 Main floor of Deluxe Loft Cabins. 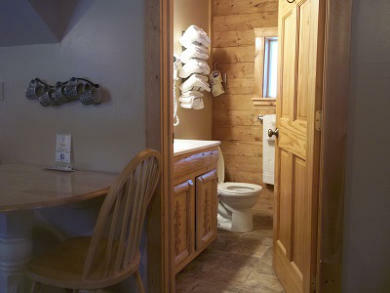 All of our cabins have a private bath with shower. 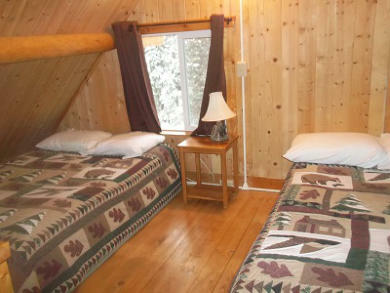 Deluxe Loft Cabins have a loft with two full size beds. 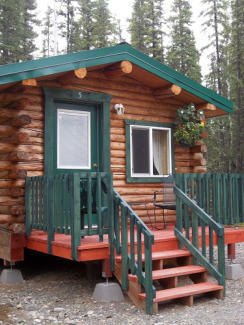 Our Ptarmigan Cabin. 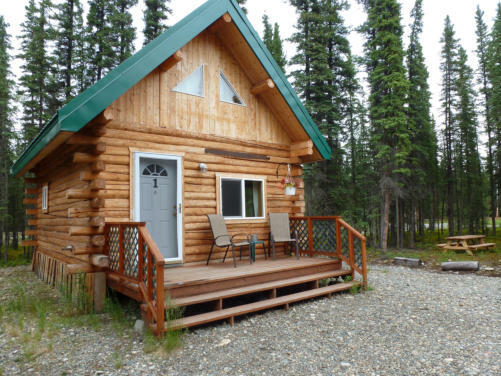 Though smaller than our Denali and Wrangell cabins, this charming and cozy cabin set on the quiet tundra might be just what your looking for.  Its great for singles and couples. 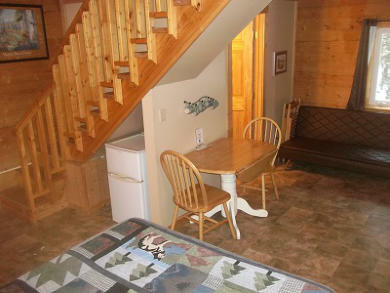 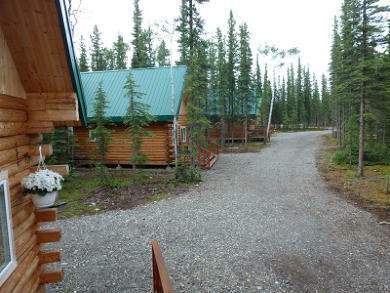 Please note: There is a maximum occupancy of 2 in the Ptarmigan cabin and no pets allowed. 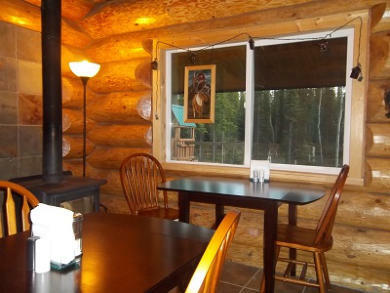 A complimentary self serve continental breakfast is available in the office/common area.